Anki Overdrive Starter Kit, What makes Anki OVERDRIVE the world’s most intelligent battle racing system? Tech so advanced, it feels like the future. Each Supercar is a self-aware robot, driven by powerful artificial intelligence (A.I.) and equipped with deadly strategy. Whatever track you build, they’ll learn it. Wherever you drive, they’ll hunt you down. The better you play, the better they become. Whether you battle A.I. opponents or friends, your tactical options are unlimited. And with continuous software updates, the gameplay always stays fresh. Customize weapons. Swap out cars. Build new tracks. It’s easy to pick up, and nearly impossible to put down. The future of play has arrived. 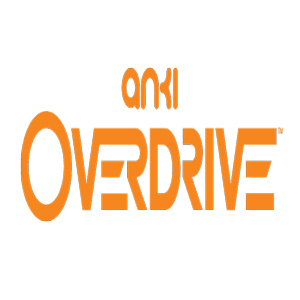 Use your mobile device to take command of real robotic Supercars in Anki OVERDRIVE.